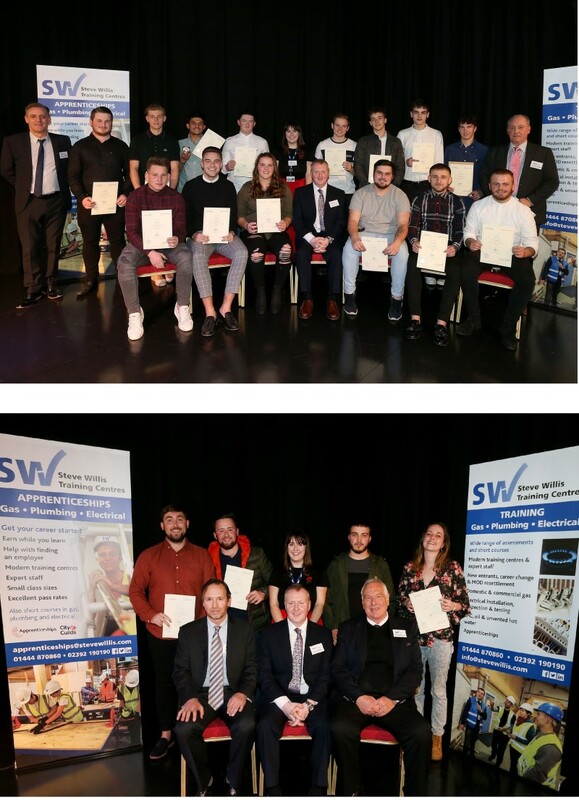 Newly qualified gas engineers and electricians from our Portchester training centre were joined by their families and employers at the first of our 2018 Apprenticeship Graduation Events. Held at Fareham College, it was a chance to celebrate their hard work and achievements with the presentation of certificates and four special awards. The award winners were apprentices Kieran Clark (Gas Apprentice of the Year), Richard Williams (Electrical Apprentice of the Year) and Owen Thomas (Stella Willis Recognition of Achievement Award). The Employer Support award is given each year to an employer who has gone the extra mile to support their apprentices throughout their training, and this year it went to Fowler Gas, Heating and Plumbing. As well as the apprentices and their guests, we also welcomed award sponsors Worcester Bosch, Anton Group, CEF Portsmouth and Fareham College. We wish our apprentices well as they continue to develop their careers, and we are looking forward to our Burgess Hill Graduation which takes place on 22nd November.